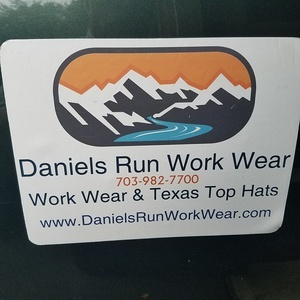 Daniels Run Work Wear & Texas Top Hats: Stetson Kimball Palm Leaf Cowboy Hat/ Daniels Run Work Wear Item SSKMBL-4034 Not available until - 23rd of April, 2017 Pre-Orders are being accepted. 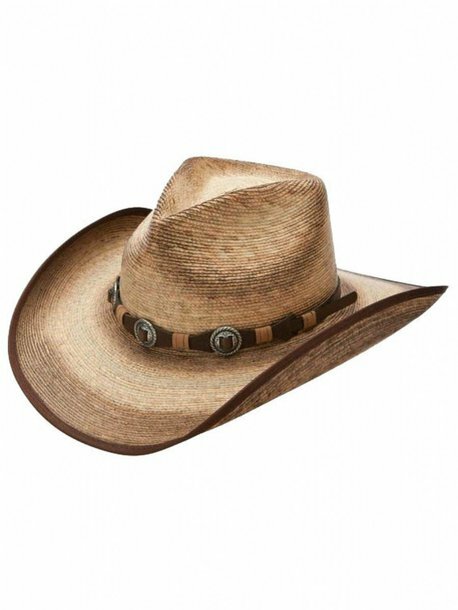 classic, southwestern look, the Kimball has a beautiful burned/stained palm leaf finish with offset conchos on the hatband. Features: 3 1/2 inch brim; Dri-Lex sweatband to keep your head dry. This product requires special shipping cost due to the box to protect it and the size of the box to properly ship it. Your cost will include a shipping charge. Size: S, M-L-XL XS is a special order as we do not stock this size, .